PVP is getting a pretty substantial revamp in Battle for Azeroth — PVP servers will be taking their leave, while a new bounty hunting system should make things a little more interesting for players. While we’ve had some clarification on the new systems, it looks like there’s more to come. Game Designer Phalanx hopped on the forums to discuss more changes on the way for PVP in Battle for Azeroth. Hold onto your hats, PVPers — we’re getting a new ranking system. Players will now be placed in rankings similar to what we’re already seeing in games like Overwatch or StarCraft. While PVP titles will still be unique to WoW, you’re going to start seeing groups like Gold, Platinum, and others. More importantly, we’ll be seeing a new iLevel reward setup. In Legion, you’re rewarded incrementally — as you get more rating, your iLevel gradually increases. But this led to pretty low iLevel rewards overall. The new rewards will be based around the new ranking system, with more of a bell curve of distribution. In addition, rewards will be tied to rankings. Instead of getting an entire appearance once you hit 2000 rating, your rewards will be doled out over time. You’ll instantly get the look when you attain the rank required, rather than having to wait until the end of a season to get it. Seasonal mounts will still be rewarded at the end of the season, however — and potentially titles as well. Plus, there may be new rewards for upper brackets in the cards as well. All in all, it looks like PVP is getting some much needed attention in Battle for Azeroth. 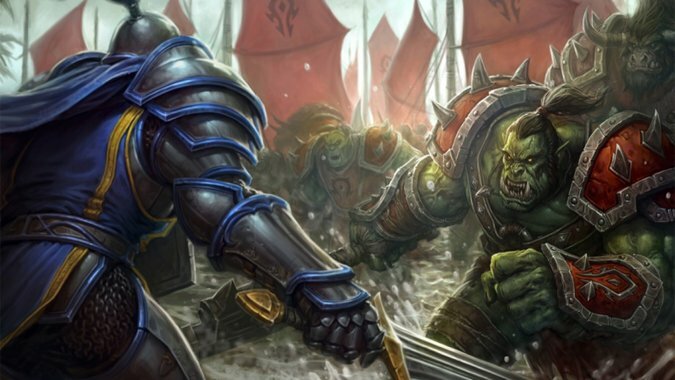 While the changes aren’t live now, Blizzard is hoping to roll them out on the beta soon. For more information, check out the full post from Phalanx below. In BfA we are doing some meaningful re-structuring of the PvP itemization system, as well as the ranking system. We’re still massaging the system, but we’d like to share some details which may help alleviate some of your concerns. Keep in mind some of this stuff could still change. No pony promises. We’re updating the ranking system to better mirror the other games at Blizzard. WoW via arena is actually one of the first competitive games at Blizzard to have a rating system, so it’s fair to say it’s time for an update. To that end we want to bucket players in rankings similar to StarCraft or Overwatch using labels such as Gold, Platinum etc. (We’re still going to have our own titles (Challenger, Rival, Duelist etc.)) We feel these rankings have grown to common verbage in the competitive PvP community so we’re happy to bring them to WoW. Keep in mind that you’ll still be able to see your rating at end of match and within the UI. And we’re also looking to add your actual rank in the UI as well (as in, you’re rank #10 in the region). Similar as in Legion, we’re going to reward you with better gear based upon your competitive standing. However, in Legion we rewarded you incrementally in a linear fashion. So as you gained more rating, your iLevel gradually increased. We found this didn’t reflect the distribution of players very fairly in terms of appropriate reward for effort in the system. (Translation: The iLevel of rewards was generally too low) In result we’re changing the distribution instead to be something of a bell curve, to match the new ranking system. We totally get the concerns with potentially too broad of brackets. And we definitely agree the competitive spirit often burns brightest at the highest ratings, so it’s something we’ll be mindful of. Season Gladiator mounts (and likely glad titles) will still be a % distribution at end of season like in the past, and we could see new rewards for the upper brackets as we shift some of the others (Epic appearances) downwards. As discussed in the past, we’re introducing a conquest system based upon past designs. You will earn conquest from doing PvP activities (mostly rated, but some also from War Mode) that will fill a bar for a reward each week. This is intended to be attractive to the average player. One of our biggest goals with the new system is to better align the effort and reward in contrast to all of the other parts of the game, especially at the lower rankings who perhaps in Legion (or in the past) didn’t see it as worth their time. I think we can all agree that more players doing competitive PvP is a worthwhile goal.